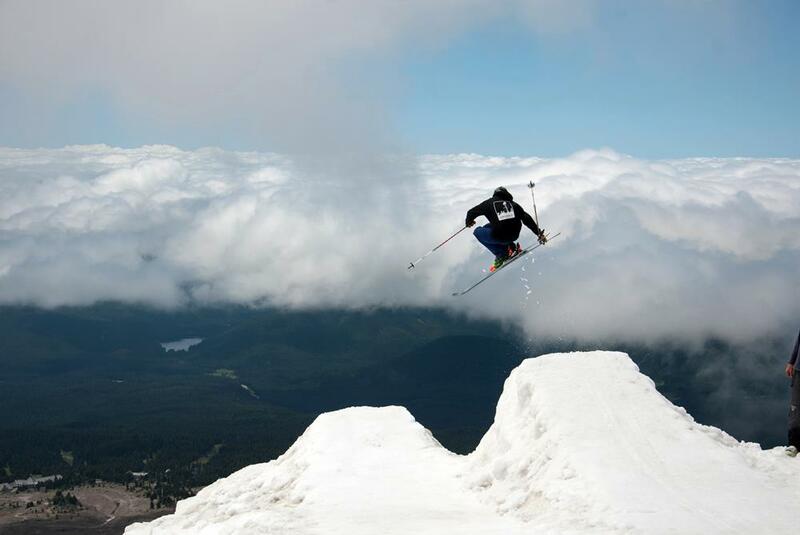 Our mogul/aerials program offers training for every level of skier. The competitive mogul and learn to ski/learn to ski mogul programs are lift access from the Palmer chairlift on the upper Palmer Snowfield. 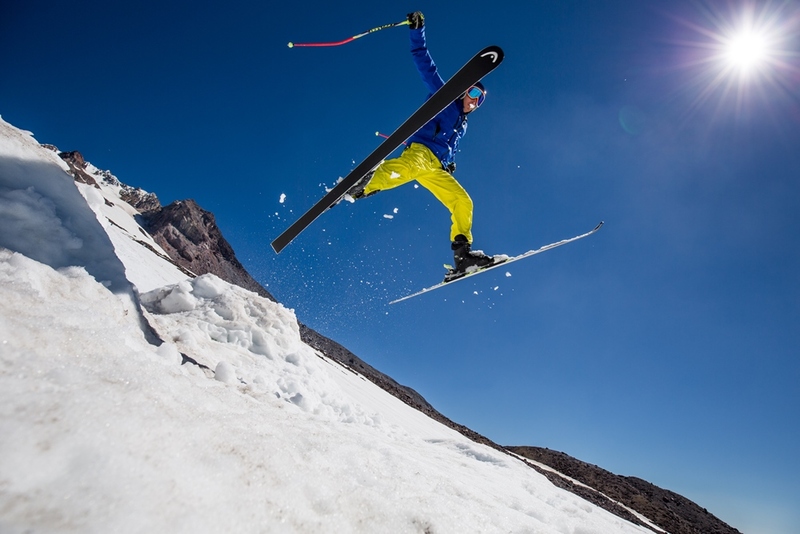 During your session, our coaches will help you to improve your mogul skiing by teaching you the solid fundamentals and correct technique for jump execution. Your goals will be assessed and a safe and successful progression will be planned for you to achieve the best results. 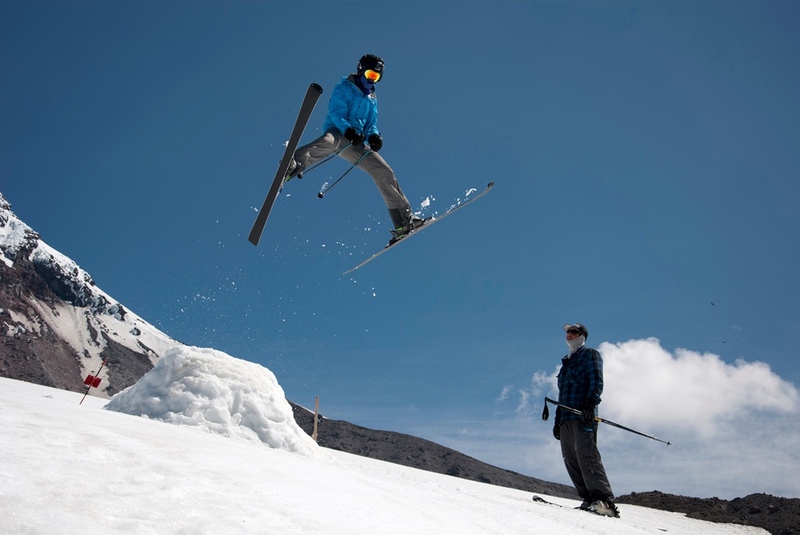 From mogul technique, to learning new aerial tricks, all skiers will develop new skills. 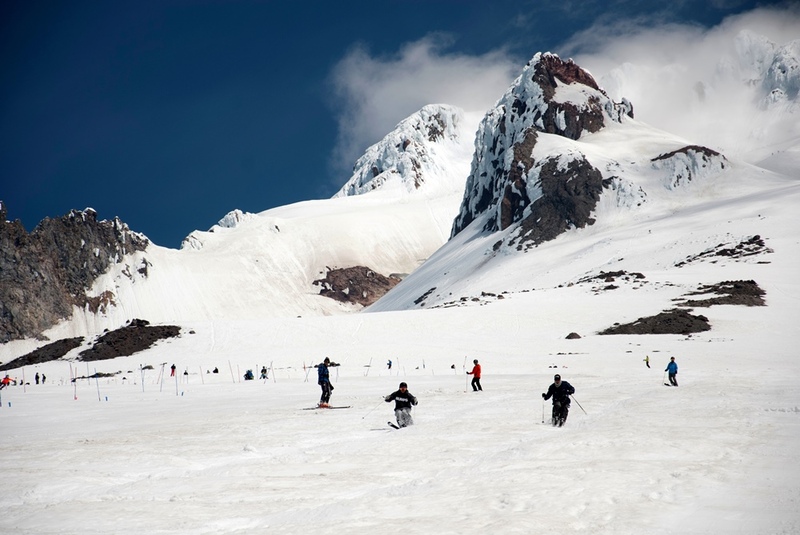 Our coaches have strong coaching and skiing backgrounds and are passionate about their sport. Coaches are here to teach you and enable you to achieve your goals, and we are always stoked to ski with motivated skiers like you. Competitive Moguls: The competitive mogul program is for kids, adults, and mogul teams that are interested in taking their skills to the next level. Our 1/2 mile long mogul lane is shaped by snowcat and finished by hand to make mogul terrain equal to 3 World Cup courses stacked on top of each other. 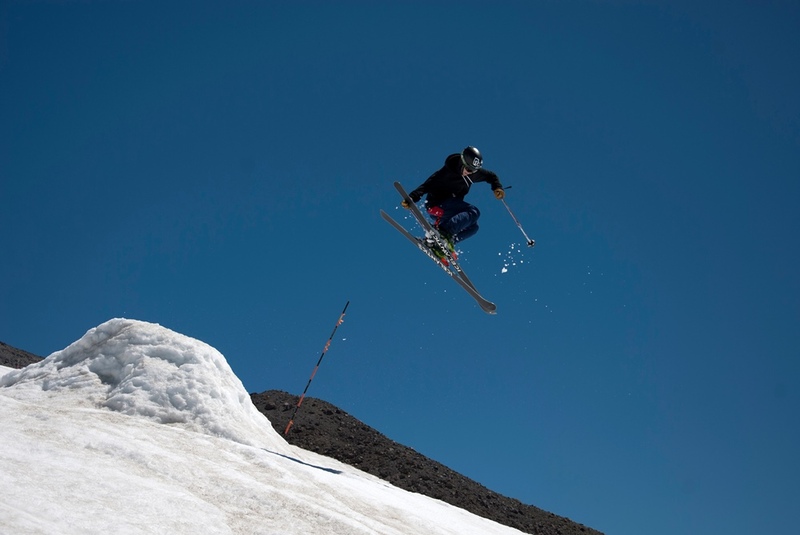 World cup style jumps give competitors the greatest competitive mogul terrain in North America. We have hosted many teams including Stratton Freestyle and the U.S. Freestyle Team. 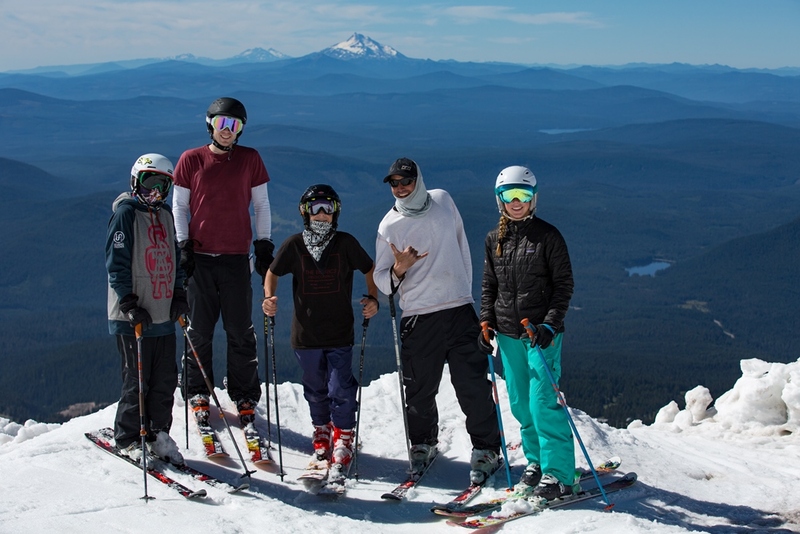 Learn to Ski/Learn to Mogul: The Learn to Ski Better program is for skiers interested in improving their general skiing skills, for skiers interested in mogul and all-mountain skiing, and for anyone who wants to become a stronger skier. The lift access mogul terrain includes smaller bumps and a skill progression that allows athletes to progress to their next skill level. Jumping is accomplished on smaller/easier jumps. Our mogul coaches may even take the group over to our race lanes for a run or two of slalom or GS to get a taste of ski racing as well. 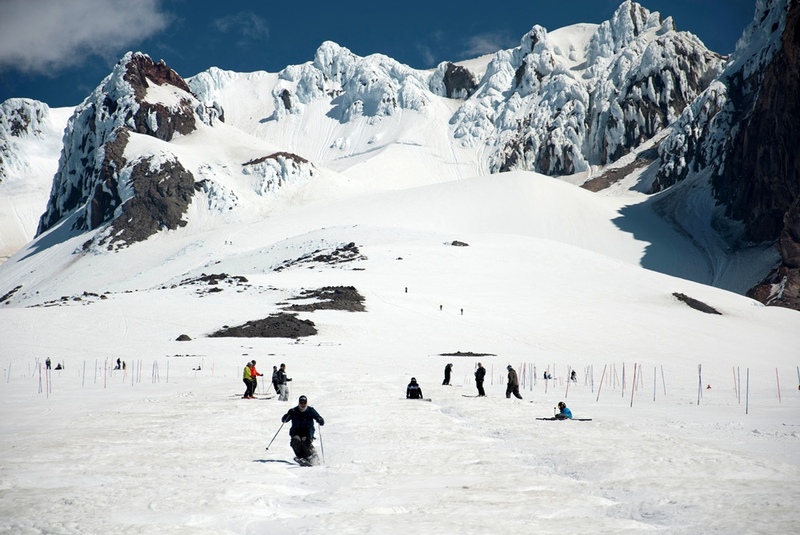 We teach a skill progression designed for learning to become a stronger skier. Our mogul campers have the added benefit of shorter lift lines later in the day, when the snow softens up and the race camps move off the hill. Mogul campers also have the option to spend some time in our private terrain park on lower Palmer. Every day we Videotape your on-hill training. Then you and your coaches get together and figure out what you can work on. Video analysis is one of the most powerful learning tools available to you and will help you achieve your goals faster. At the end of the week, you can purchase a copy of your video. Trampoline training: Not sure about trying a new aerial trick? You can first try it out on our campus trampoline. You can first learn a new trick off snow before giving it a try on the mountain the next day. If you are with the Stratton Freestyle Group, go here.